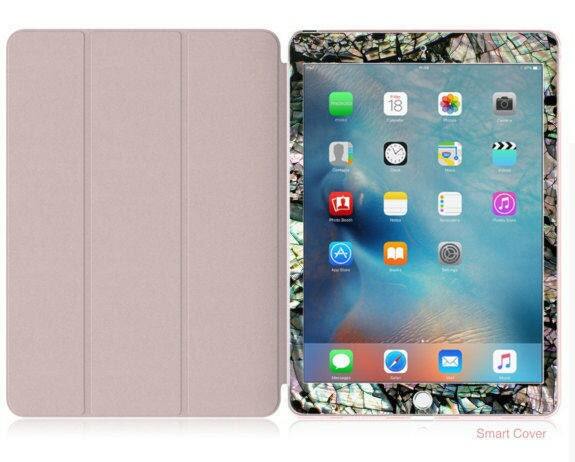 Abalone Shell Medley with Rose Gold Smart Cover Hard Case for iPad 9.7 2018. iPad Pro 12.9 2018 . iPad Pro 11" . iPad Air 10.5"
Exactly as pictured, it's so beautiful and unique! Not gonna lie though, I thought the abalone shell design was going to have a metallic effect to it but it's simply matte, but still gorgeous! Very pleased and would order from this shop again. 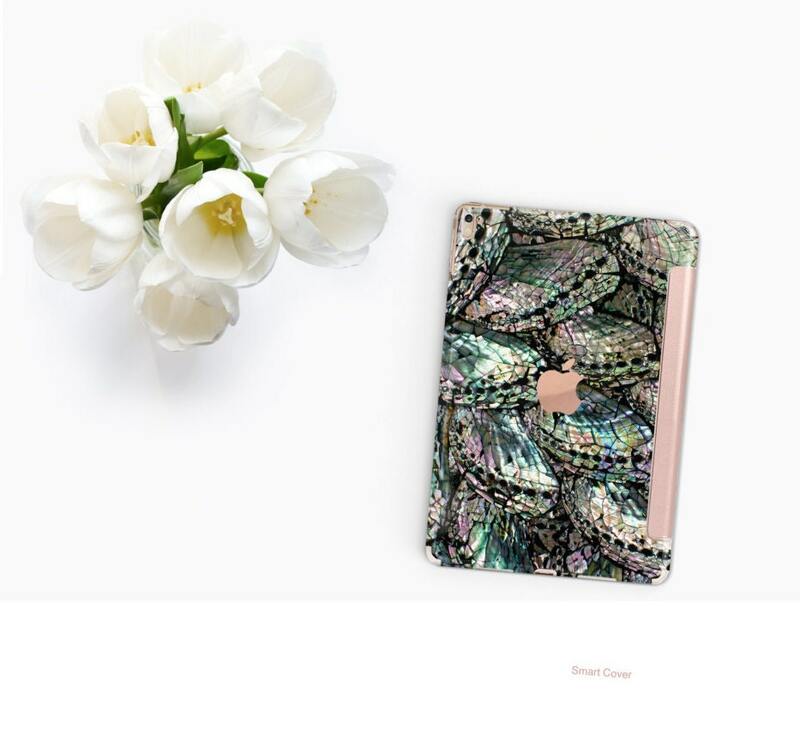 If you're looking for an elegant one of a kind case, this is your shop! EDIT: after reading back through the description, I distinctly remember choosing a matte finish even though metallic was an option.... lol so again, exactly what I wanted! I remember choosing matte in the hopes it would combat my greasy fingers, after 12 hours of use, it's doing an exceptional job.